As parents we understand the importance of dental health and it is our job to pass healthy habits onto our children. Keep reading to learn how you can keep your child free of cavities and maintain the best oral health possible. Closely monitor your child’s dental habits at least until they reach the age of 7. Make sure they brush their teeth for a full three minutes, twice a day. There are several apps available for smartphones that allow you to set timers and turn your child’s oral hygiene routine into a fun game. For example, BrushyTime has timers for brushing and rinsing. While the timer counts down, a pirate and his parrot talk to kids to keep them occupied. Other apps will even highlight different sections of the mouth to indicate where to brush and prevent any areas from being neglected. 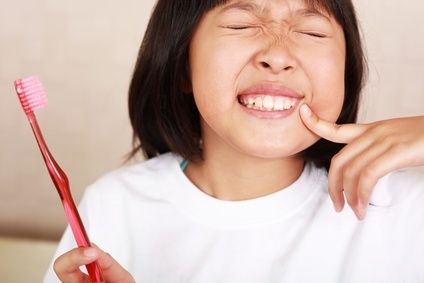 Check your children’s teeth for plaque buildup and stains as these are usually the precursors to cavities. Schedule a dental exam at least once a year and start these routine exams early so your child sees them as a normal part of life. You can prepare your child for dental visits by reading fun books about going to the dentist. You can also associate dental visits with fun by scheduling play-dates or seeing a movie directly after the exam. One of the best ways you can encourage children to keep a healthy oral hygiene routine is to brush, rinse and floss in front of them. This is especially true for younger children as they love imitating adult behavior. Also, schedule your dental checkup the same day as your child’s visit. This can decrease any dental anxiety because you are demonstrating dental visits in a positive manor and you are showing your child that Mom and Dad have dental exams too. Sugary food and drinks that are left in the mouth will increase the levels of harmful acids, and it can take up to 20 minutes for the saliva to neutralize those acids, resulting in cavities. It is best to limit your child’s sugar intake but it may not be possible to completely eliminate sugar from their diet. If you give your child candy or sweets, have them brush immediately afterward if at all possible. If you are away from home and do not have access to a toothbrush, at least have your child drink a glass of water after consuming sweets. Doing so will help rinse and remove some of the sugar from the gums and teeth. Looking for an Oakland Family County Dentist? If you are searching for a family dentist in the Oakland County area, Dr. Mansky DDS has been treating dental patients at his Troy office since 1989. 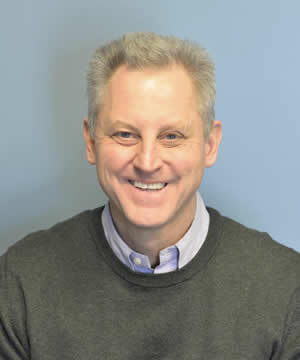 Dr. Mansky was selected as one of the of “Top Dentists of 2009”, published in Hour Detroit Magazine. If you are ready to experience exceptional dental care for you and your family in Troy, contact Dr. Mansky today at (248) 689-5508.